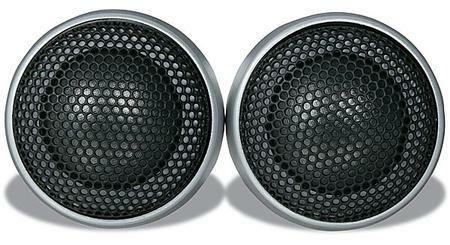 Brighten up your car's sound system with a pair of Infinity Reference 1021t tweeters. These 1" textile dome tweeters will add sparkle and clarity to your music, and improve your stereo image � without tiring your ears. You'll hear clean, distortion-free performance as the in-line crossovers direct only the high frequencies to the tweeters. Infinity's "I-Mount" system simplifies installation, and the Starfish™ adapters provide easy mounting of the tweeters behind panels and under factory speaker grilles. This product was added to our catalog on Wednesday 11 January, 2006.